Ever since I moved into my new place nearly 18 months ago and configured my ideal workspace, I’ve been spending loads of time at my desk. At least 75% of my waking life is spent here and that percentage will certainly be increasing as I prepare for my qualifying exams. Even though I’m a homebody, the idea of having to stay put for marathon reading sessions is terrifying. As a self-professed daydreamer, it’s hard enough keeping my mind from floating away let alone my physical presence. So I’ve developed a coping mechanism that will hopefully improve this experience: candy. My body is constantly trying to deal with the grad-school stress I inflict upon it. For a few months, I’ll develop a nail-polish-peeling tic. Other months, it’s obsessive hair-braiding. Right now it’s grinding teeth. Two years ago my dentist kindly pointed out that I do this at night and condemned me to wear a night guard. But such an implement is frowned upon for daily wear. True, I’m alone most of the day. Nonetheless I don’t want to see myself with it on. I am trying to be an adult here. 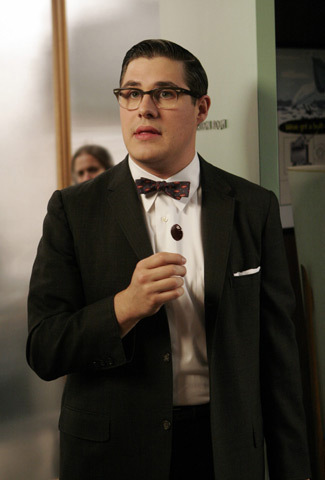 So I’m pulling a Harry Crane and stocking up on lollipops. He was probably trying to break a smoking habit or keep himself from making out with a secretary. 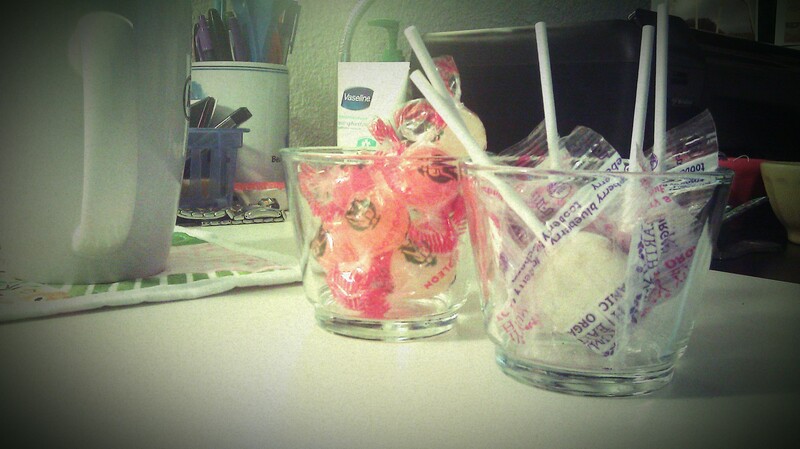 But the lollipops and other hard-candies have really helped and give me a break from my jaw/neck pain. The little kick of sugar is also welcome when I’m 5 hours into a reading I’m not so excited about. Plus, the colors look so pretty on my desk.